A hearty amount of Worcestershire sauce gives Old Mule an extra savory and complex flavor whose uniqueness is a boon both on and off the grill. 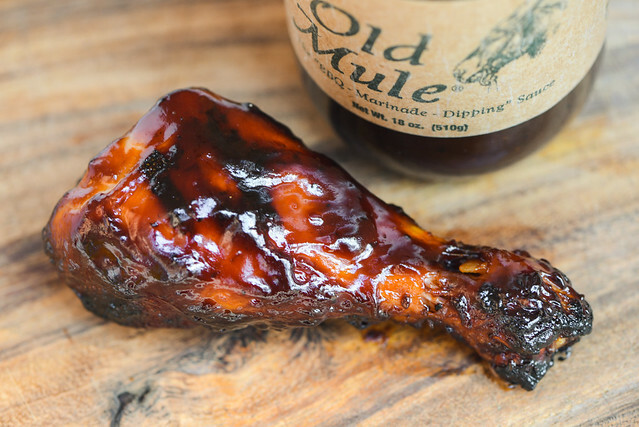 Steve Modlin's barbecue sauce has been impressing his acquaintances since he started making it in his college days. He and his wife Cheryl continued producing the sauce through the years, giving it out mainly as Christmas gifts over the holidays. After some prodding by friends and family, the two took the sauce to the next level and started bottling and selling it in the mid-1990's. 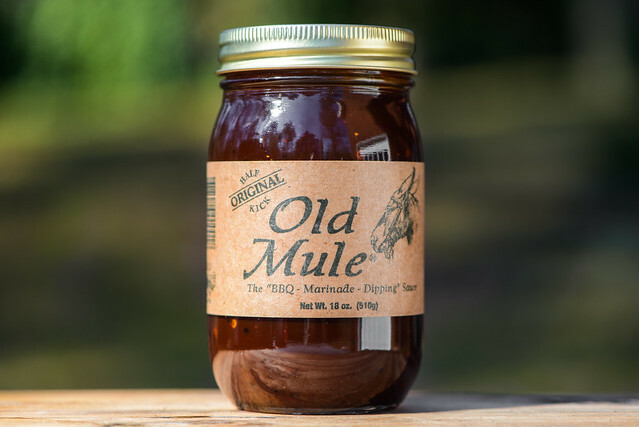 They dubbed the sauce "Old Mule," which was based on a story of Cheryl's father wanting to name her after his favorite family mule from his childhood, but his wife wouldn't allow it. Today Steve and Cheryl continue to make their sauce on their farm north of Columbus in Western North Carolina with three different varieties in the line-up—Original, Hot, and Mustard. 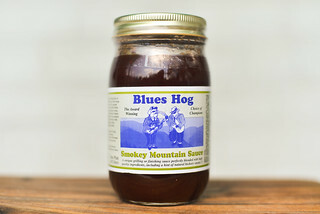 The first whiff of this sauce provides a familiar sweet tomato and molasses aroma. Sitting right behind those two top players is a hearty amount of Worcestershire and mild tang, adding some complexity to the otherwise straightforward smell. A few deeper whiffs brings forward a minimal onion component and the slightest hint of peppery heat. This maroon sauce has a glossy sheen and is semi-opaque. This allows you the see the large black and white spice specs that add bits of texture to an otherwise very smooth sauce. It has a medium thickness with a syrupy consistancy that has the sauce falling in a fast, continuous pour from a suspended spoon. The sauce stream is sometimes broken up by some large spice chunks and as the sauce slows, four or five final drips release slowly and a medium coating is left clinging to the silverware. First taste of this sauce is a hard one to describe. It's very unique with and upfront Worcestershire flavor that mixes with a deep tomato, molasses, and sugar to have more complexity in the initial taste than the average sauce. As the sauce settles on the tongue, a strong syrupy sweetness comes out more, then a few seconds later that gets a balancing contrast by way of vinegar. 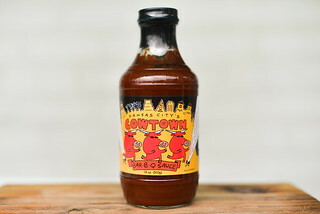 As the sauce leaves the mouth, a mild heat mixes in, with all other flavors remaining, leaving an aftertaste that spans the full spectrum of spicy pepper, tangy vinegar, sweet molasses, acidic tomato, and a strong Worcestershire. The sauce coated the chicken in an medium, even layer that baked down well over indirect heat, then picked up some nice caramelization over direct heat with only minimal burn off. The sugars in the sauce became more prevalent after being cooked, with the chicken having a strong sweet tomato and molasses flavor. After a few subsequent bites, the vinegar and pepper came into play, giving the chicken a more full and balanced profile. In doing some background research for this post, I found Steve and Cheryl Modlin commenting in multiple places how people often use this sauce as dip for chips and fries and I totally get that—the flavor out of the jar is not quite like anything else. This is thanks to a hearty amount of Worcestershire that gives the sauce a super savory quality that's equally pleasing and addicting. 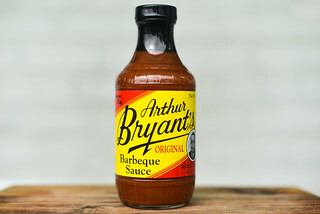 After being cooked, the sauce treads a bit more of a familiar ground with its amped up sweetness, but that extra complexity persists, which made my chicken have a more unique flavor than the standard sweet barbecue sauce. 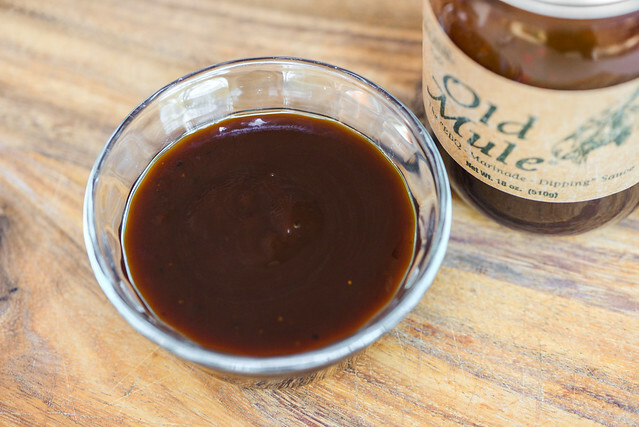 This makes Old Mule a versatile choice, able to handle your applications right out of the jar as a condiment or cooked onto ribs, chicken, seafood, and the like. Your pretty assured that you'll be getting both a familiar barbecue flavor with an extra complexity that will certainly make people notice.